The company attributed the improved earnings and profits to increased production in its power business, improvement of the economic climate, which has impacted positively on the operations of its hotel business, among other positive indicators. 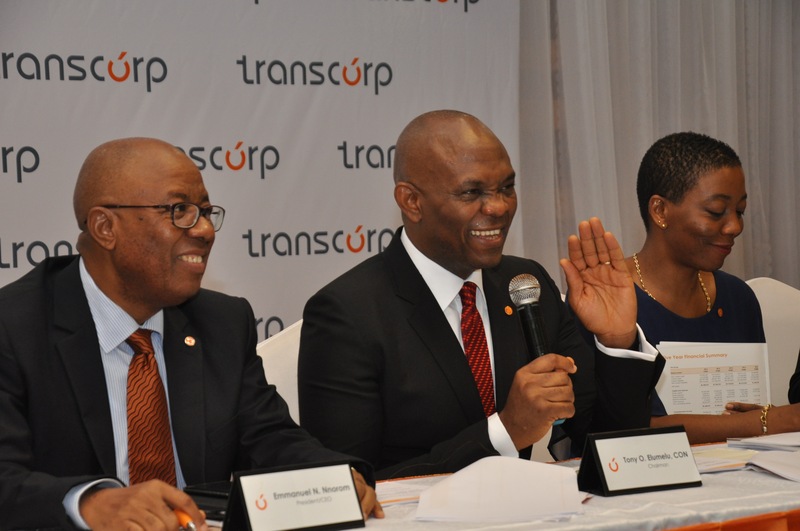 Commenting on the result, President/Chief Executive Officer, Transcorp, Mr. Adim Jibunoh, said the company’s performance highlights a significant recovery from the financial year 2016. “Our results show continued growth and a substantial step-up in profitability despite the volatile economic environment. It was achieved largely through increased power output following improved gas supply. Our power plant, Ughelli Transcorp Power Company, has consistently ranked as the number one power producer, contributing an average of between 13 percent to 15 percent of total power exported to the national grid during the 2nd Quarter of 2017,” he said. Jibunoh noted that the firm is on track for strong performance in the third quarter of 2017, as it has already initiated the process of enhancing the available capacity of the power generating plant from 620MW to over 720MW to take advantage of improving gas supply. “In addition, improvements in general economic activity in Abuja and return to operations of the newly upgraded rooms at the Transcorp Hilton Hotels Abuja will boost occupancy and top line performance for Transcorp Hotels in the 2nd half of 2017. These changes are keeping us responsive to fast changing consumer trends and accelerating our drive to a stronger financial performance in the second half of the year. We see this as a proven way of delivering long-term shareholder value,” he concluded.